WelcomeWe would like to take this opportunity to first thank you for choosing Bay Area Specialists in Contemporary Prosthodontics for your dental and prosthetic needs! Please take a few minutes to look through our web site to get acquainted with us and what we can do for you! Mission StatementOur goal is to improve your quality of life by doing what we love to do – creating lasting smiles and friendships while doing dentistry that is true to ourselves, honest to the patients, and upholds the integrity of the profession. The TechnologyWe are “contemporary” because we offer some of the latest technologies to aid in the planning and execution of your dental treatment. Furthmore, we invest in the latest equipment that makes your experience less anxious and more efficient and comfortable. Testimonials"Dr. Singh and Dr. Chiu are very attentive and down to earth! They made my experience so comfortable. Thanks for listening and making me able to smile and eat again! You guys are great!" J.S. Prosthodontists are dental specialists who have additional years of education and training in diagnosis, treatment planning, rehabilitation and maintenance of the oral cavity. They specialize in the restoration and replacement of missing teeth. 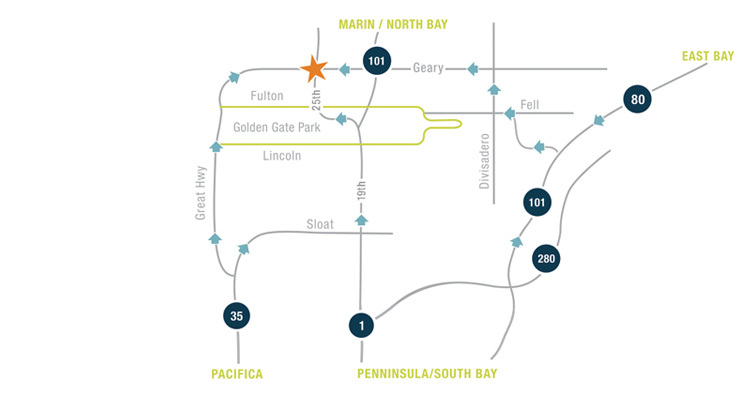 LocationOur dental office is conveniently located in the Richmond district of San Francisco, where parking and transportation are easily accessible. We would first like to take this opportunity to thank you for choosing Bay Area Specialists in Contemporary Prosthodontics for your prosthetic and dental needs. At Bay Area Specialists of Contemporary Prosthodontics, Drs. Samuel Chiu and Sukhmani Singh welcome you to our practice located in the Richmond district of San Francisco. We are aware that everyone has a different comfort level with dentists but we want to ensure you that modern specialty dentistry is what we provide. We listen to you, explain things clearly, and together figure out what you would like so you are comfortable and not anxious about dental treatment. We even offer the latest technology to create pain-free anesthesia and nitrous oxide gas when needed to keep you calm and make your dental experience enjoyable. A wide range of dental services are offered from prevention, cleanings, simple restorative procedures to partial and complete full mouth reconstructions to create healthy mouths and beautiful smiles. As prosthodontists, we have extensive specialty training and a true comprehensive approach in diagnosis and treatment planning. Our dental armamentarium commonly includes dental implants, removable dentures, fixed crowns and bridges, and cosmetic veneers. We also perform various adjunctive dental surgical and Invisalign procedures, yet work closely with other dental specialists for a team approach when needed to achieve what you desire. Dental implants are widely used in our prosthodontic practice as they benefit most patients. They can be used to replace a single missing tooth, or multiple teeth with implant crowns and bridges, or to secure loose dentures. We, Drs. Chiu and Singh are also familiar with the All-on-4 implant concept where patients are missing most or all of their teeth and would like a fixed dentition again to avoid taking dentures in and out. Implants are very predictable and safe, and best of all, most of our patients are very comfortable and heal nicely without much discomfort. This boutique dental prosthodontic practice is conveniently located in the Northwest region of San Francisco. As the name suggests, patients from the entire Bay Area, such as Palo Alto, San Mateo, to Walnut Creek, Oakland, to Mill Valley and Marin county have become part of our dental family. 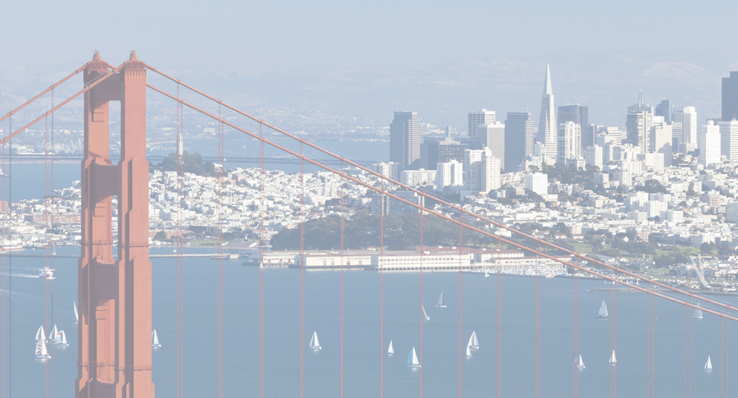 Our local patients in the neighboring areas of Laurel and Pacific Heights, Presidio, Marina, Sea Cliff, Sunset, Twin Peaks, and West Portal often compliment us for starting the only prosthodontic office in this part of San Francisco. Furthermore, parking and public transportation are easily accessible at this location. Please feel free to contact us with any questions or if you would like to set up a dental consultation with either one of us Prosthodontists!